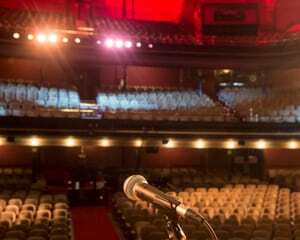 Explore over 100 sounds from nearly every inch of Massey Hall. All available for download and use in your own Massey Hall remixes. Use the Massey Hall Sound Museum to explore sound and composition in your elementary or secondary classroom with the accompanying Resource Guide. This guide includes information on the history of Massey Hall and curriculum-connected activities focusing on listening skills and sound creation using Soundtrap or GarageBand. Full instructions on how to transfer the sounds from Soundcloud to these programs is included in the guide.